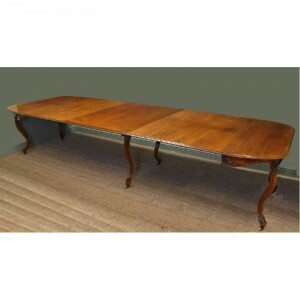 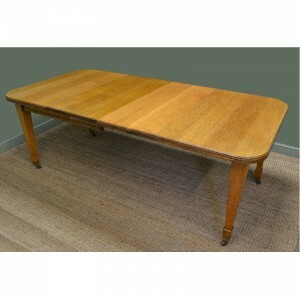 This Quality Solid Walnut Victorian Extending Dining Table dates from ca. 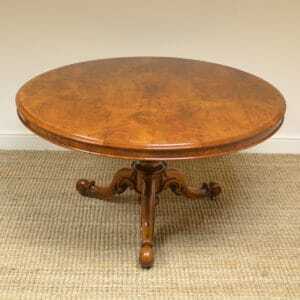 1890 and comes with two removable leaves, original wind out mechanism and winding handle. 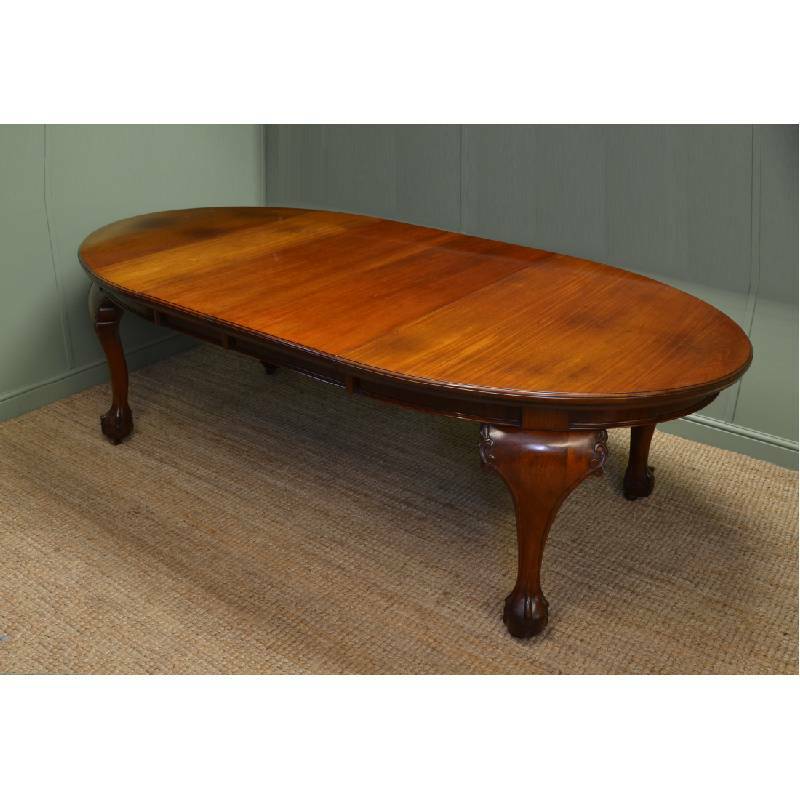 The top is solid walnut with a moulded edge, sitting above four beautifully scrolled legs with ball and claw feet and castors. 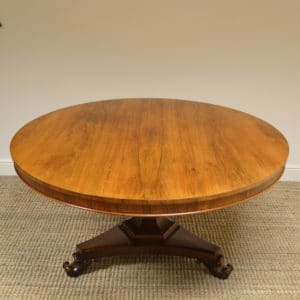 The table is such good quality; the Victorian cabinet maker not only used quality timber in the construction but also went to the trouble of using brass dowels in the leaves. 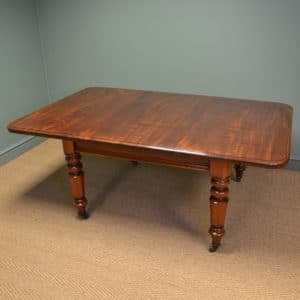 The table does come with charm and character expected in a true antique and the walnut has aged to a warm shade with a striking grain, good patina, is in very good condition and has been beautifully cleaned using a traditional form of wax finishing. 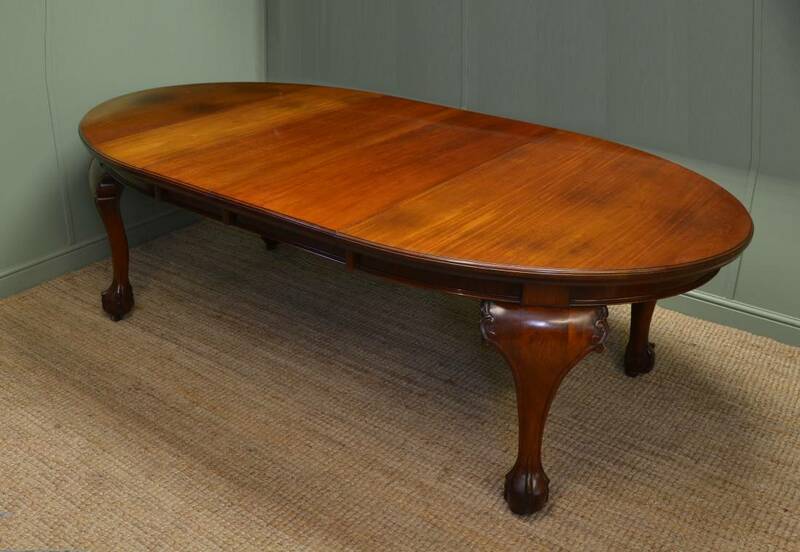 Delivery within mainland England, Scotland and Wales approx £99 + VAT.